Nichols, W. (2013). Advertising Analytics 2.0. 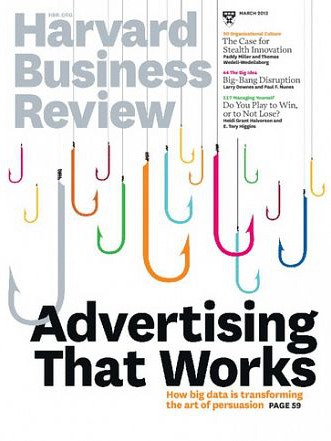 Harvard Business Review, 91(3), 60-68. Most marketers think they know how their advertising affects consumer behavior and drives revenue. They correlate sales data with a few dozen discrete variables, and they rely on consumer surveys, focus groups, media-mix models, and online last-click attribution. 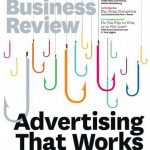 But to treat advertising touch points as if each works in isolation is to misrepresent the way today’s complex combination of marketing efforts influences purchasing outcomes. MarketShare CEO Wes Nichols explains how many big companies are now deploying analytics 2.0, a set of capabilities that can chew through terabytes of data and hundreds of variables in real time to accurately reveal how advertising touch points interact dynamically. The results: 10% to 30% improvements in marketing performance.